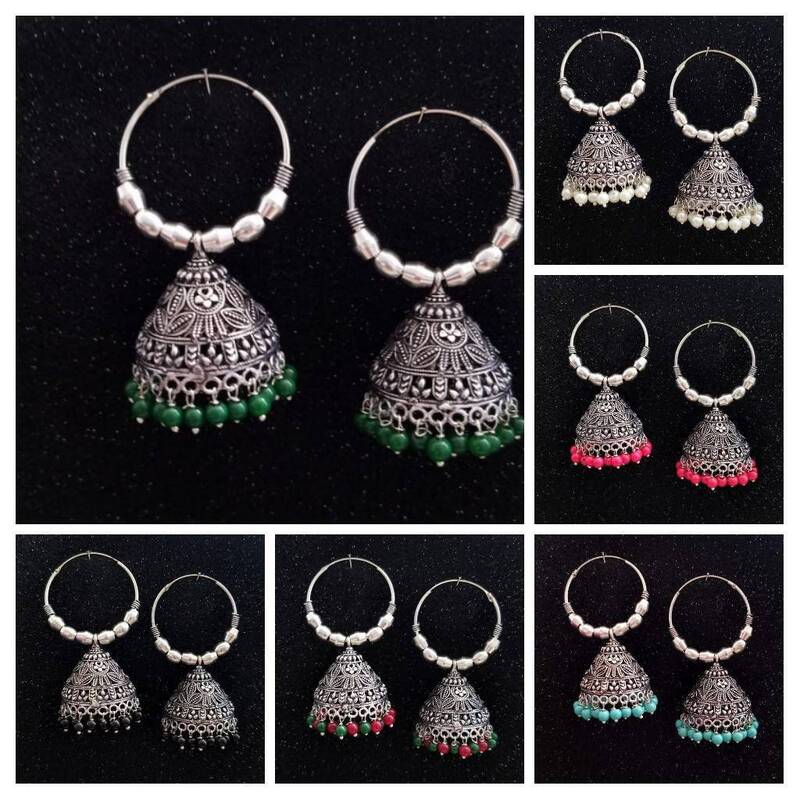 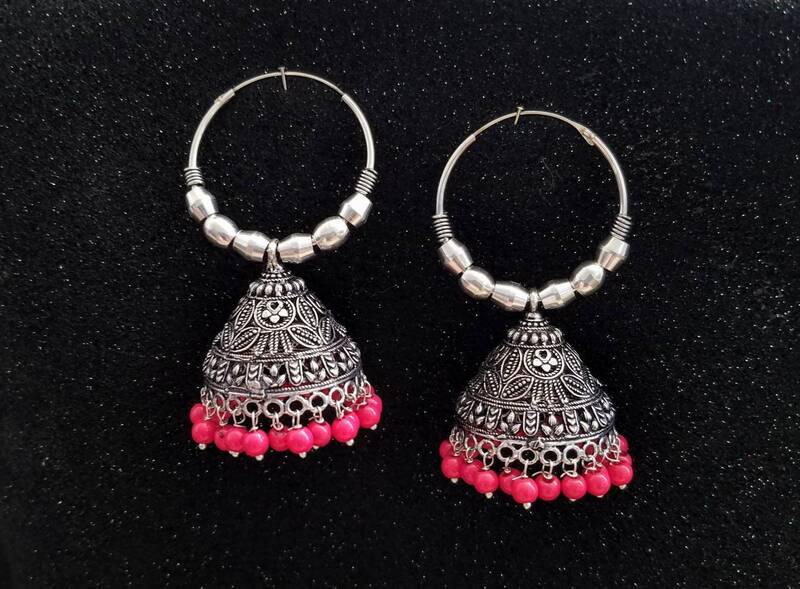 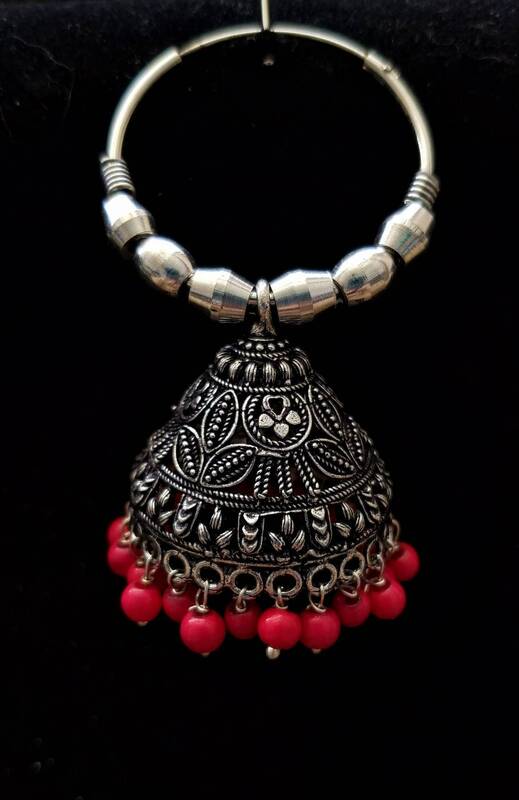 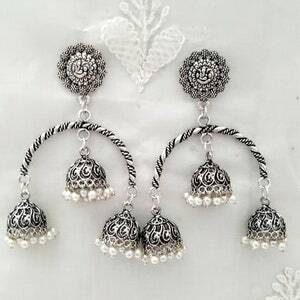 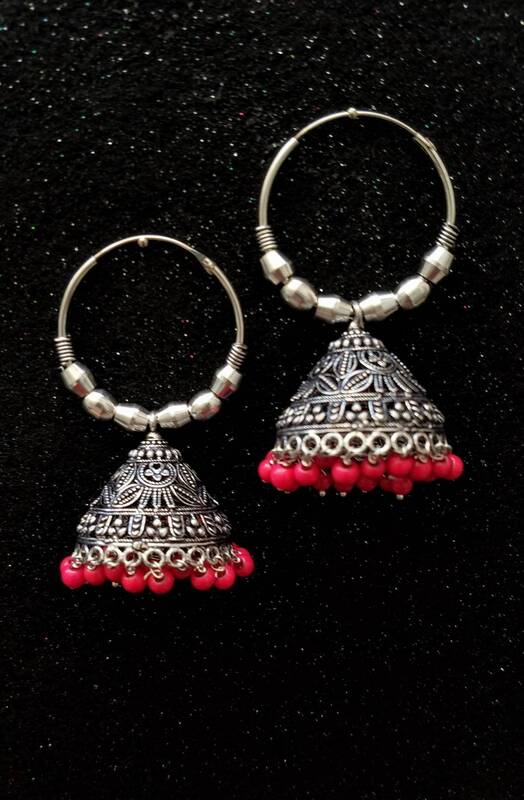 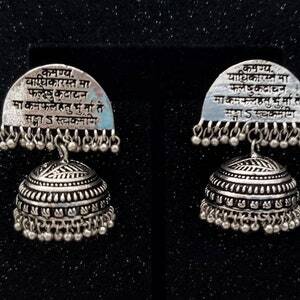 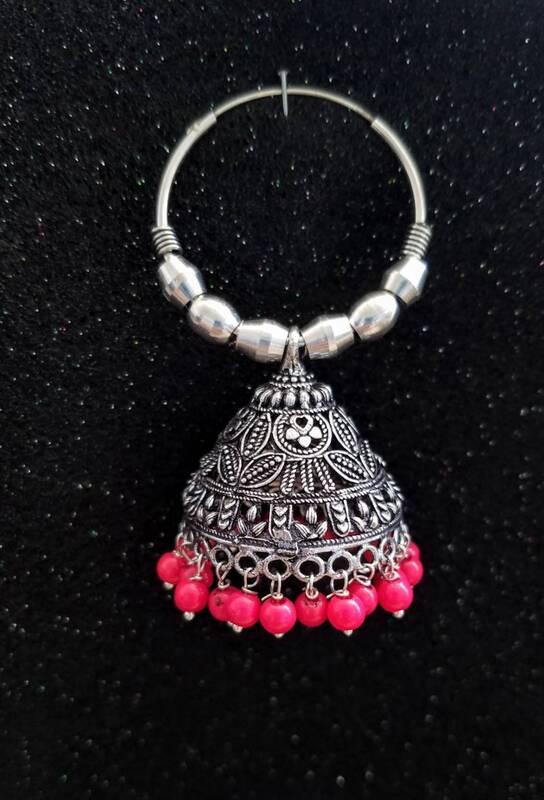 Handmade Indian hoop earrings with red jhumka bells in oxidized silver color, so as to create the patina of a vintage tribal piece. 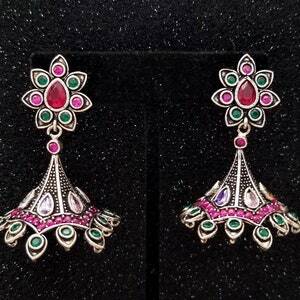 Amazing detailed and precise granulation work. 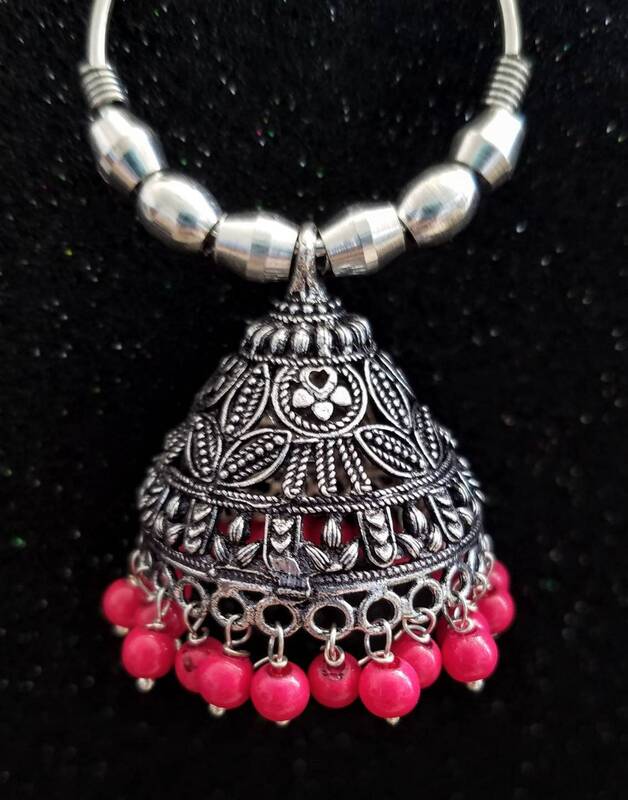 Red beads suspended from bells add a pop of color and movement. 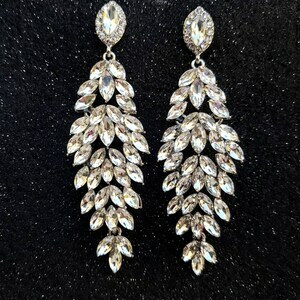 2 3/4 in L x 1 1/2 in W.